From local courses to world class destinations such as Pebble Beach. Every golfer will find exactly what they are looking for with a selection of 5,000 courses nationwide to choose from. Visit www.GoPlayGolf.com to view the available courses. 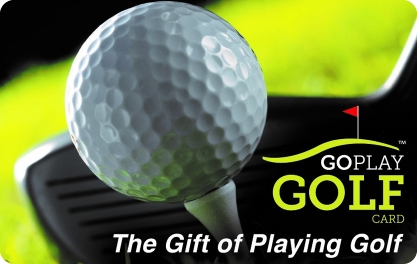 The Go Play Golf gift card makes for a great holiday, Father’s Day or the any occasion golf gift.